The CombiForm System can be used in many different applications. The Screed rails are supported and levelled on either concrete pads or the combination of locking clips, adjustment screws and ground plates. The latter solution allows levelling throughout the entire casting. The distance between supports is recommended in most cases to be 1100 mm centres. The section width will vary depending on the size of the vibration bridge. Dowel bars can be placed with 250 mm centres, or follow the floor specifications. It is very important that the ground is correctly prepared prior to the pour. The plastic strip will in most cases be left in the floor and it works as a crack allocation guide. Screed rails are supported and levelled on a combination of locking clips, adjustment screws and ground plates. The distance between supports is recommended in most cases to be 1100 mm centres. Dowel bars can be placed with 250 mm centres, or follow the floor specifications. The plastic strip will in most cases be left in the floor and it works as a crack allocation guide. Use concrete nails or screws and punch them through the adjustment screws into the ground. This method allows levelling of the Screed rails. 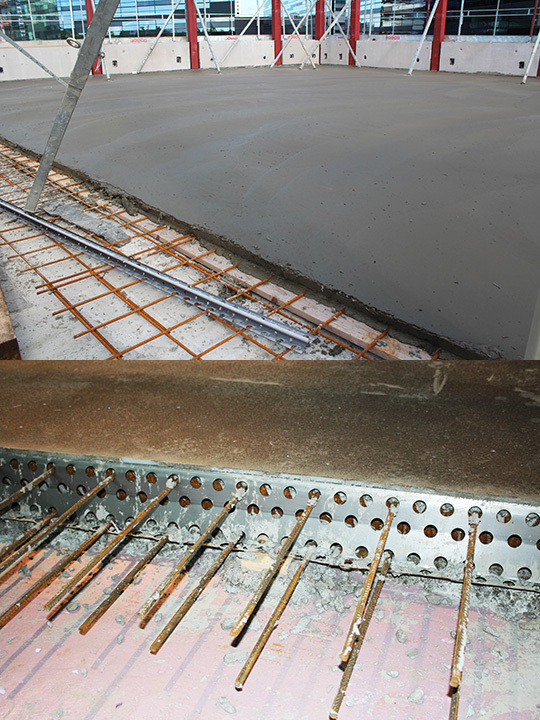 Anchor the reinforcement bars/mesh onto the ground and secure the Screed rail onto the reinforcement bars/mesh with steel wires, or similar. 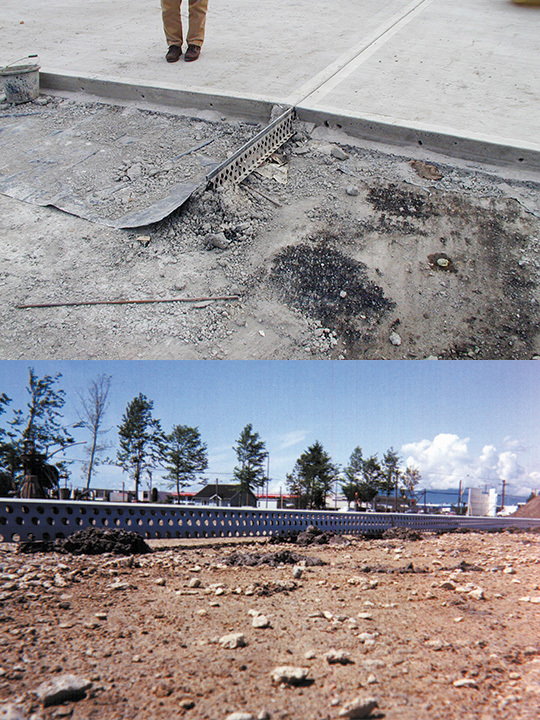 Section distances between the Screed rails are recommended to 2000 – 2500 mm centres, or follow the floor specifications. 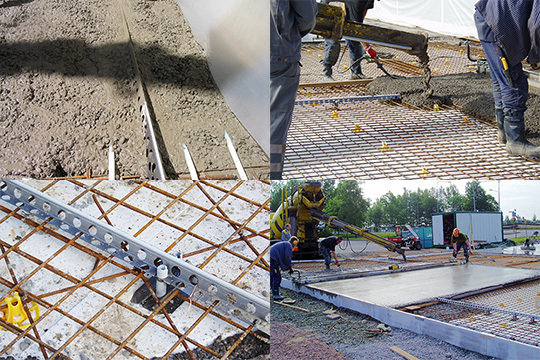 It is very important that the ground is correctly prepared prior to the pour. The plastic strip will in most cases be left in the floor and it works as a crack allocation guide.